When I was younger I don’t remember having any great ambition to be something or someone in the future. Maybe you did. I would have loved to have been a sportsman of some sort as I was pretty good at a few. I can complain about lack of opportunity but I lacked the discipline needed when the opportunity came along. Since then I have discovered that leading well is less about the destination and more about the steps along the way. It is less about what I achieve and more about who I become along the way. Don’t get me wrong, we need the big dreams and a vision of a preferred future but it is the steps we take along the way which determine where we get to. And then we need to happy that when we get ‘there’ the preferred future may doubtless look different to what we anticipated. Dreams are exciting and in reality, quite easy. We can all imagine great things. Steps though are more tricky, they represent where the rubber hits the road. 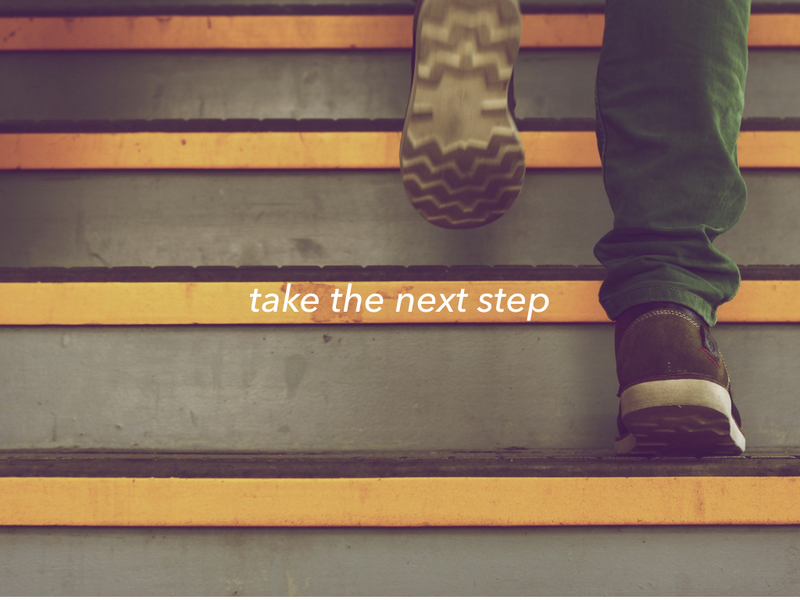 Steps demonstrate our faith in God. Steps can be hard work. Steps can be quick sometimes or slow at other times. Steps are Gods to determine. After all, He wants to get us to where we ‘need’ to be more than we want to get to where we ‘think’ we should be. At the age of 47 I never imagined I would be where I am, doing what I do, but I am. God’s plans have worked out how He saw best. To say I have faith in Him means trusting where I am and the journey I am walking are the steps He is wanting me to take. My responsibility is simple ~ keep walking, one step at a time, with God very much in the lead position. Why not take a moment to thank God for where He is brought you to? Then pray and give Him permission to keep ordering your future steps. Walking with God is not that complicated. There’s not a formula but I do believe there are certain things we can do which can definitely make it easier. Be willing to hear God’s voice. Be willing to listen to what God is saying. Be willing to obey what God is saying. Be willing to trust what He is saying He can do. In Luke 1 Mary demonstrates all four of these and she does so with such great simplicity of faith, it is quite wonderful. Let it be as you have spoken. I magnify You God. Look at what You are doing, through me and through this child to be born. God speaks. She hears. She actually listens. She responds. She accepts. She obeys. She trusts. In the rush of life we have to be ready to hear, to listen, to obey and to trust. There is power when we bring them all together. If we hear but don’t listen, we won’t understand what it is God is asking of us. Yet if we hear and listen but do not obey, we miss out on the fruitfulness of Gods full blessing. 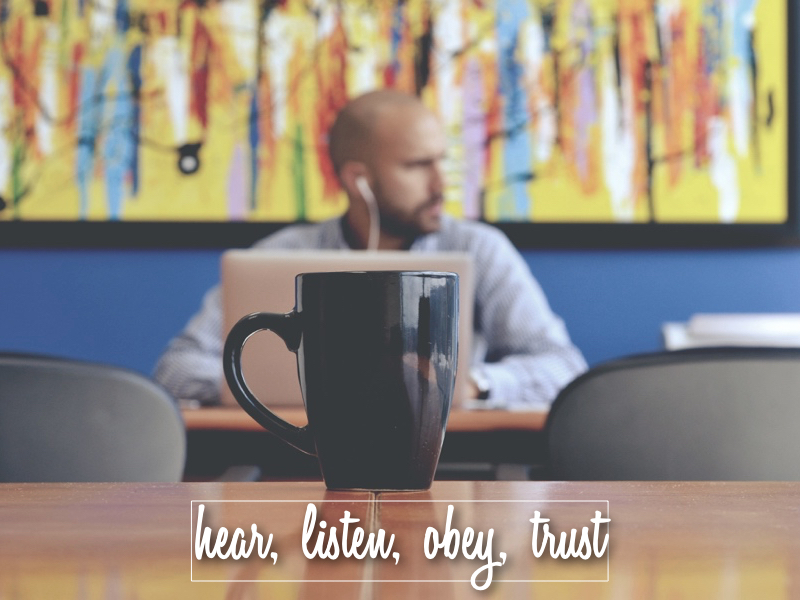 And we cannot obey and trust God in action if we do not know what He has been saying to us. Only in the working of all four is there the full reward, the creation of something new in our lives, God making something seemingly out of nothing as we hear, listen, obey and trust. Then nothing is impossible. For ourselves, for the people around us, maybe even for the world. Tell me why you would agree or not? Yesterday at church I asked the congregation some questions, one of which could just change our life. After all, how we view God will either drive us ‘to’ Him or ‘away’ from Him. 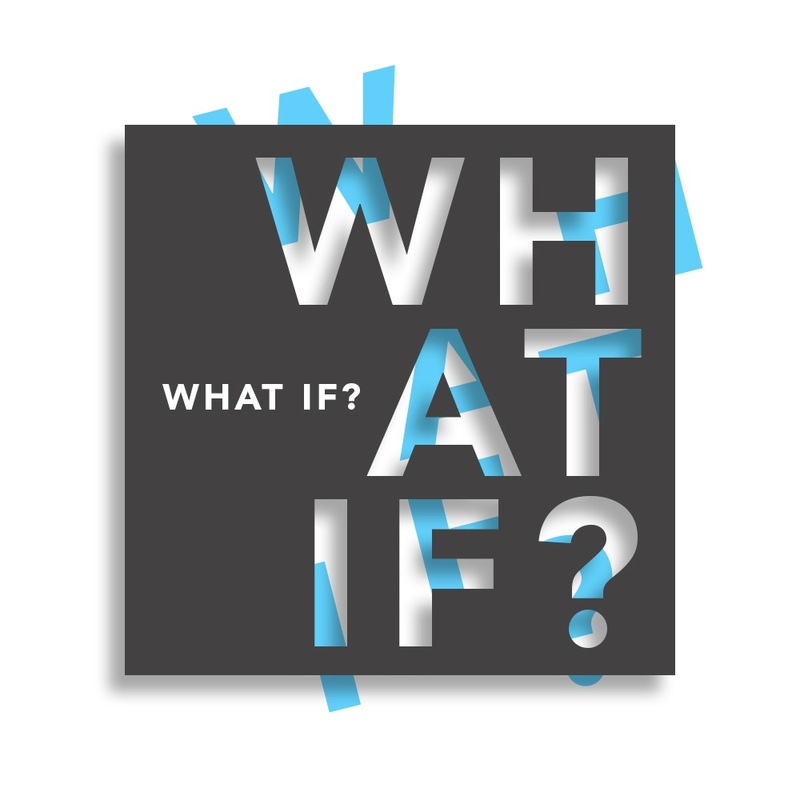 Having spent the end of last year talking about the Kingdom – what it is, how it impacts us as believers – a bunch of what if questions have come to mind. What if the Kingdom stuff is actually true? What if Gods Word is really real? What if I lived as if I believed it? What if God is for us and not against us? If we think God is against us then we may believe God is unjust, is waiting to judge us and that there is nothing we can do to improve the relationship. Because of this we can become driven by guilt, fear, resentment, anger, materialism and the need for approval. If we can accept that what we know about God isn’t necessarily true then it opens up the possibility that God is for us. Then life gains new meaning, motivation and energy. We can know that God loves us, believes in us and has made the move Himself to restore the relationship. The acceptance of this truth, according to Gods word, it can completely transform our life. It will shift us living just for the here and now, setting our minds on eternity instead. In 2017 remember this…He is the Lord who provides. In Genesis 22 we read the account of how God asked Abraham to prepare to make a sacrifice, and how the thing to be sacrificed was his only son, the son of promise too. This is difficult to work out and seems an odd thing for God to ask. It’s definitely a divine test at a whole other level. However, I think it is a test God asks of us more often than we may care to acknowledge. This is not about sacrificing our firstborn on an altar. In some senses it’s much simpler than that but just as difficult. 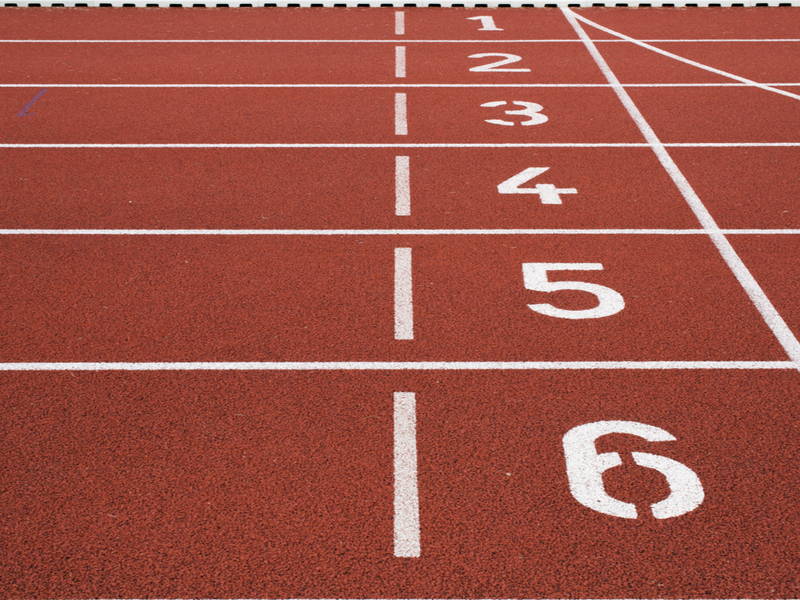 God’s question: are we willing to give up what is most precious to us? Think about those things which have our heart, our attention, our time and our resources. Those things we can elevate and give greater importance than we ought to. The things which can easily get between us and God. God first. Then family. Then church. I think this is a good way to line things up. But we have to be like Abraham, be willing to let go of what’s most precious and have faith that God will provide and therein lays the test. To let go of what we think is best for something God may provide which is better. 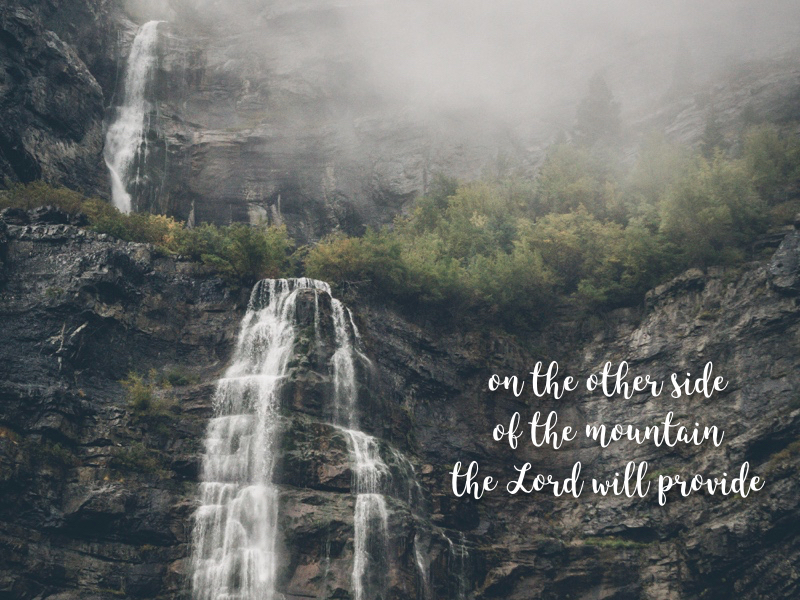 Yet therein lays the wonder as to how much God knows what we need and can bring it us, seemingly from nowhere, out of the ‘thickets’, from the other side of the mountain even. In 2017, remember…He is the Lord who provides. 3 days in to 2017, no mishaps yet. But I’m sure there will be one or two at some stage. At those moments I have to remind myself that I am not measured by my levels of perfection or the attainment of a certain performance. At those moments I have to remind myself that my worth and value are measured differently, not by what I am but whose I am. 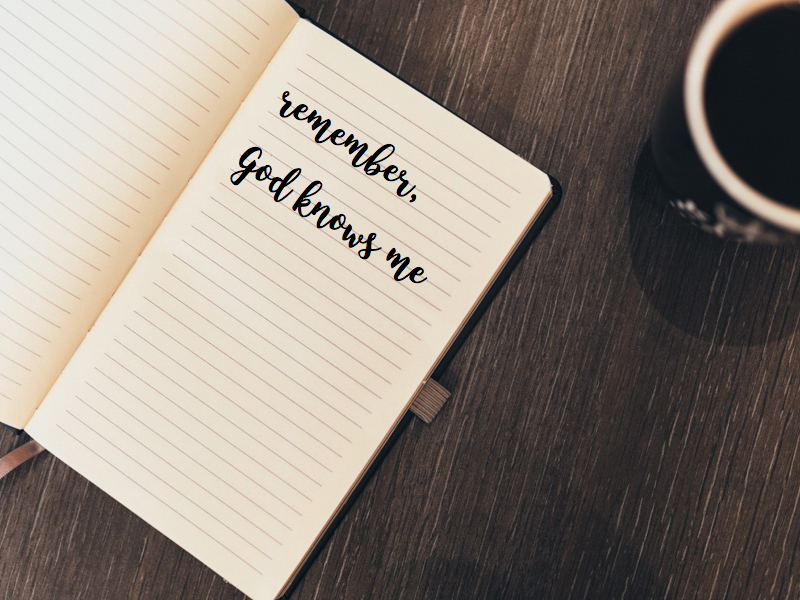 At those moments I have to remind myself that I am Gods, how He loves me, how He knows me and that He is the one who desired for me to exist. When I know whose I am and where I have come from, I am better placed to journey through anything that may come my way. Too often we make life about ourselves. 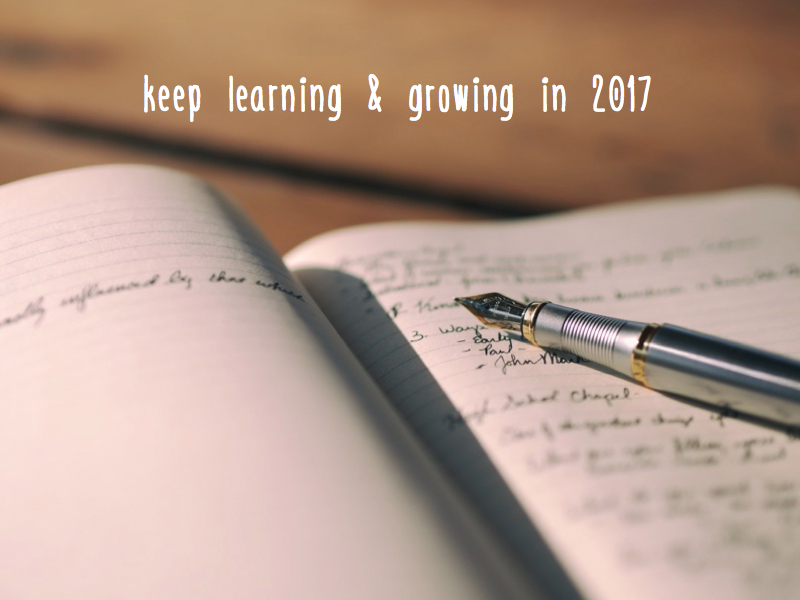 How can I make MY year the best year for ME? If you’ve read any of my posts then you’ll notice I am an advocate for goal setting, having a plan, aiming for something. But more than these, I am a greater advocate for the presence of God, getting Gods view and lead on life’s big decisions. A good, strong walk with God can help us overcome more obstacles than the best laid plans. How we approach the days ahead is more than snap decisions or how detailed the plan may be. That’s why yesterday I encouraged us all to prophesy over and into the future. To speak the right things. We should add to this Gods call for us, His heart to become our heart. Prophesy over your future. Then be about the same things Jesus was about. That can’t be wrong and we surely make a difference in the process too. The final question is simple but dangerous too. After all the reflection and looking forward, the challenge to answer the difficult questions with honesty and getting ready for 2017, this question is all about me. How can I help you in 2017? How can I help you in providing the right kind of resource and what to talk about here on the site? How can I help you as your Pastor? 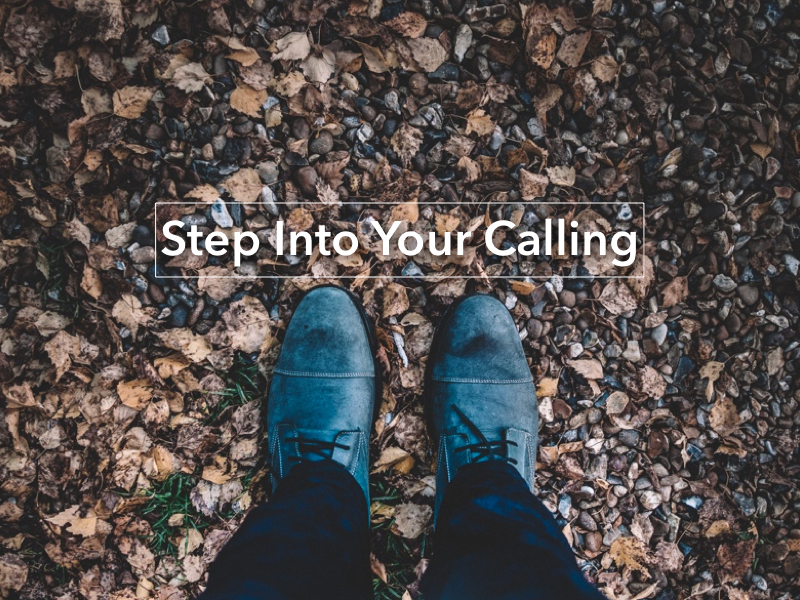 How can I help you grow bigger – in your walk with God, as a leader, in finding your fit and discovering more about God and all He has for you? Obviously, it’s not all about me or on me. But as much as I want my own world to be ‘bigger’ in 2017, I am making space so I can help others. To say ‘yes’ as often as I can. To challenge. To ask the questions. To resource. To see all who want to become ‘bigger’ too. I don’t just want to be someone who asks a whole host of questions without providing the resource to go with them. Praying God’s very best over you and yours in 2017. Praying that it will be the ‘biggest’ and the ‘best’ year yet. Praying that whatever comes your way, your faith in God will keep you through it all. Praying that you know how much God is for you, with you and has given everything for you. Amen.